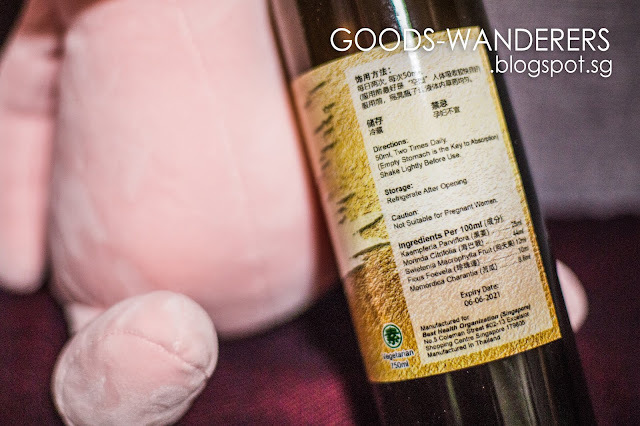 Herbal Tonic usually gives us an Impression that it may taste Awful or nasty for our tastebud and honestly I delayed to try KTW D2 Guard because of that... but looking at so much health benefits and it's food properties, I had my first small sip and I was impressed that this healthy drink doesn't taste as awful as I thought. 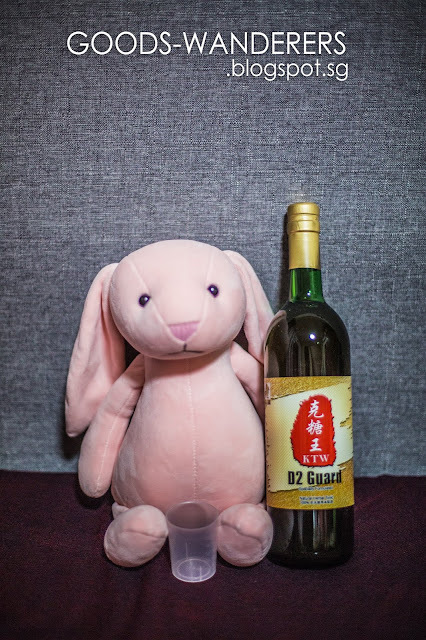 In fact, it's slightly sour, not too sweet and not bitter at all! 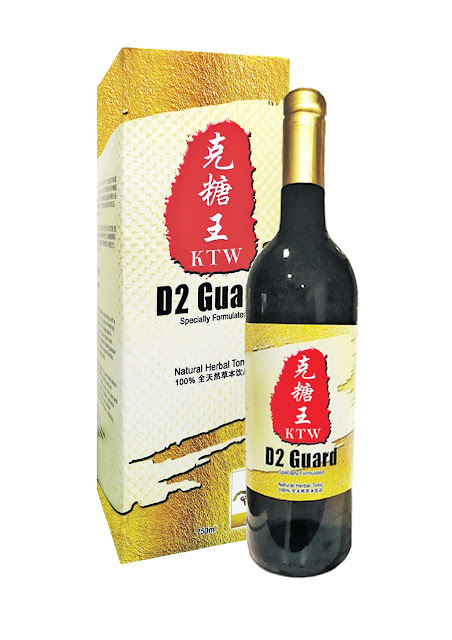 The ingredients of the "KTW" D2 Guard includes thai black ginger (known as kaempferia parviflora), morinda citrifolia (fruit that usually use for creating medicine), swietenia macrophylla (sky fruit) and bitter gourd (known as momordica charantia). 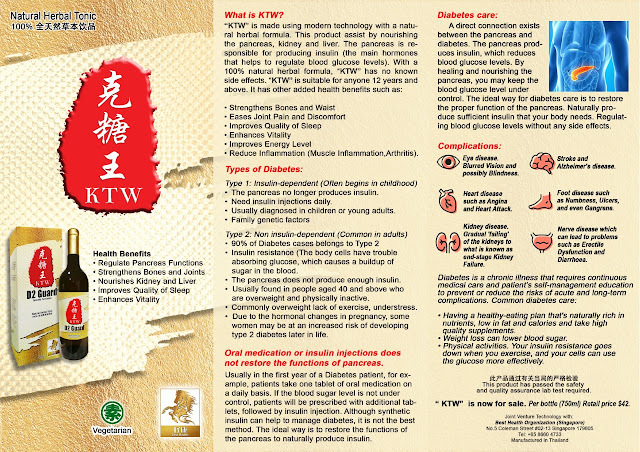 As a natural health-care herbal drink, "KTW" D2 Guard is suitable for men, women, and children to drink, diabetes patients can also drink.